EdTech 2011 is being hosted by Waterford Institute of Technology, at their campus in Waterford City, Ireland. Waterford Institute of Technology (WIT) is a university-level institution in the South-East of Ireland with over 10,000 students and 1000 staff. WIT offers tuition and research programmes in various areas from Higher Certificate to Degree to PhD. Waterford city is well serviced by daily intercity rail, bus and air routes, from cities in Ireland and overseas. Aer Arann and Aer Lingus offer direct flights from Galway to Waterford Airport, for visitors from within Ireland. For overseas visitors, the city can be directly accessed via flights from London Southend, Luton, Birmingham, Manchester and Lorient. See the Waterford Airport website for full details. Alternatively, Cork Airport is a 90 minute drive to Waterford city. Dublin Airport and Shannon Airports are approximately a two hour drive away from Waterford city, and serve Britain, Continental Europe and North America with scheduled daily flights. Rapid Express: 12 services daily from Dublin City & Dublin Airport to Waterford City and Tramore. The Waterford Service departs from Bank of Ireland, Parnell Street, Waterford. See the detailed directions on the main WIT website. View more details of the campus map on the WIT website. Accommodation for the conference is available at the Tower Hotel Waterford , which is conveniently located in the heart of Waterford City, overlooking the marina. The Tower Hotel is offering a special EdTech conference rate of 59 euro per night B&B for a single room, or 89 per night per person sharing. To avail of this special rate, phone the Tower Hotel at 051 875 801 and ask to speak with Joan or Deirdre in Reservations. For delegates wishing to stay on after the conference, the hotel is offering a special 2 night rate of €129.00 per person sharing for 2 nights b/b and 1 evening meal. Single Room €59.00 Bed & Breakfast per night. 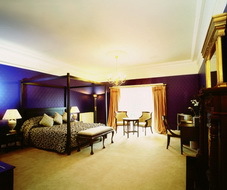 Double Room €40.00per person Bed & Breakfast per night. For those staying more than one night Athenaeum House Hotel is offering a rate of €40.00 per per B&B for extra nights and then a rate of €120per person, for 2B&B 1Dinner. 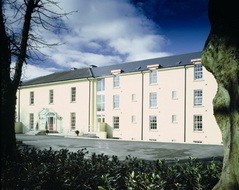 Athenaeum House Hotel is uniquely set in the vein of a country escape, yet overlooking the twinkling lights of Waterford City. It is located 1.5km from Waterford City. The conference dinner will be held at the Athenaeum House Hotel on the evening of 1st June. Attendees can register for the conference dinner as part of their conference registration. We strongly encourage all delegates, speakers and student attendees to ensure they sign up for the conference dinner, which promises to be a thoroughly enjoyable evening.